This guide provides recommendations for resources, research help, and other information to support you as you explore the historical and societal influences on environmental policy through your archival research project. 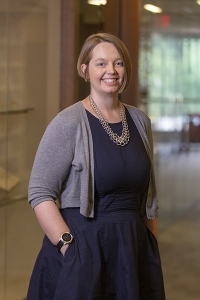 You can direct questions about this course guide to the environmental science and policy librarian, Holly Surbaugh. If you have questions regarding the research process on this or any other environmental research assignment, she is available for one-on-one consultations. For more information about the Booth Family Center for Special Collections or primary source archival research, please reach out to Mat Darby. To find an article when you have a citation (e.g. from a bibliography), you can search for the journal title in the HoyaSearch Journal Finder or search for the article title using the HoyaSearch Search By Citation or Google Scholar. Start by writing down your research topic or question, and then identify all the important concepts it contains. Develop keywords based on those important concepts. Also, try searching with the official terminology of the database. In the database's menus, look for a Thesaurus or Subject Terms link. When looking for books in HoyaSearch or other libraries' online catalogs, look for relevant Library of Congress Subject Headings to get you started. On each section of this guide, you will find a short (not comprehensive) list of potentially relevant terms. Using Archives: A Guide to Effective Research is a helpful overview that explains what archives are, how to approach a research project, and what to expect when visiting an archives or special collections. ArchiveGrid is a database of over 5 million records describing archival collections in over 1000 institutions. The benefit of starting here is that you can limit your research to specific geographic areas and find the archives or special collections that is closest to you that has the material you would like to research. Use Georgetown University Archival Resources to browse and search archival collections housed here at Georgetown in the Booth Family Center for Special Collections. If you cannot access the full text, it may be because Georgetown does not subscribe to the journal. If we do not have a subscription, you can request a scanned copy of the article through Inter-Library Loan.